This magnificent creation has all the elements of glamour and romance to make your walk down the aisle a moment to remember! 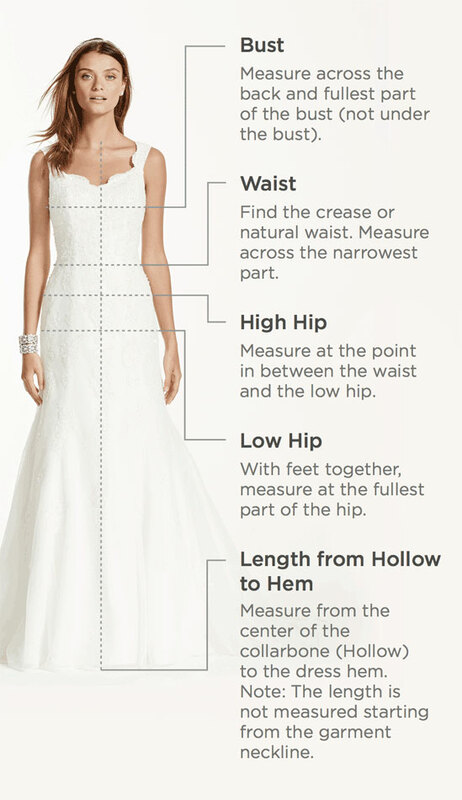 4" extra length wedding dress. Strapless duchess satin gown features veiled tulle bodice with exquisite geometric seaming and lace applique detail. Cascading satin and tulle train adorns fit and flare skirt. Chapel Train, Fully lined. Center back zip, Imported polyester. Dry clean.